Ushering in a new era of leadership in the Weldon School of Biomedical Engineering, the Purdue Board of Trustees approved the promotion to full professor of six faculty members: Sherry Voytik-Harbin, Michael Heinz, Pedro Irazoqui, Zheng Ouyang, Jenna Rickus, and Ann Rundell. This cadre of senior faculty represents more than half of the promotions to full professor this year in the entire Purdue College of Engineering. They are each recognized innovators in their fields with noteworthy impact in translational research and superlative teaching. 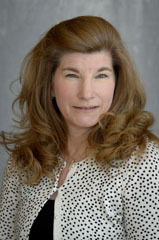 Inspired and motivated by her graduate experience and translational research training within the Purdue Hillenbrand Biomedical Engineering Center, Sherry Harbin remained at Purdue and served as one of the founding faculty members of what is now Purdue’s Weldon School of Biomedical Engineering. Since joining the faculty of Biomedical Engineering and Basic Medical Sciences, Sherry Harbin has become a pioneer in the field of tissue engineering and regenerative medicine. She is an innovator in the use of decellularized tissue scaffolds for tissue restoration in human patients. More recently, her laboratory developed innovative collagen formulations that self-assemble or polymerize to form fibrils that resemble those found in the body’s tissues. Materials prepared from these collagen building blocks can be used for creating next-generation tissue engineered medical products as well as modernized in-vitro 3D tissue systems for basic research, drug development, and chemical toxicity testing. Discoveries from her laboratory have been translated into commercial medical and research products that have had widespread impact, benefitting many human patients. She has 23 U.S. and 72 international patents and was nominated to the Purdue Innovator Hall of Fame in 2014. As a faculty mentor, Voytik-Harbin has helped many students reach their highest potential. In 2014, a senior design team she mentored won Best Senior Design Project. Her students have been recognized with fellowships, teaching awards, and awards for outstanding posters and oral presentations. Harbin received a B.S. in biochemistry from Indiana University in 1987. From Purdue University she received a master’s degree in electrical engineering in 1989 and a Ph.D. in veterinary physiology and pharmacology in 1992. Michael Heinz has a joint appointment in the Weldon School of Biomedical Engineering and Speech, Language and Hearing Sciences. Following post-doctoral work at the Johns Hopkins University School of Medicine, he joined the faculty at Purdue in 2005. His research interests include noise-induced hearing loss, neural coding in normal and impaired auditory systems, and models of auditory signal processing and perception. He investigates the relation between neurophysiological and perceptual responses to sound with normal and impaired hearing through the coordinated use of neurophysiology, computational modeling, and psychoacoustics. His lab has been continually supported by NIH since joining Purdue. Heinz received the Early Career Research Achievement Award from the College of Health and Human Sciences at Purdue in 2013. As a faculty mentor, he has mentored many domestic and international graduate students and postdoctoral fellows as well as contributed to numerous thesis and research project committees. He teaches a Biomedical Signal Processing course in BME, and courses on Hearing Science, Anatomy and Physiology of the Auditory Periphery, and Signal Processing in SLHS. In 2010, he was elected a Fellow of the Acoustical Society of America (ASA) “for contributions to understanding the relation between physiology and psychophysics in hearing,” and served on the ASA Technical Council as Chair of the Technical Committee on Psychological and Physiological Acoustics from 2011-2014. In addition to ASA, he is also a member of the Association for Research in Otolaryngology and the Society for Neuroscience. Heinz received an Sc.B. degree in electrical engineering from Brown University in 1992, a master’s degree in electrical and computer engineering at Johns Hopkins University in 1994, and a Ph.D. from the MIT Division of Health Sciences and Technology in the area of Speech and Hearing Sciences in 2000. Pedro Irazoqui joined the Purdue faculty in 2005 and has since received national and international recognition for his work in the development of wireless implantable devices for various potential applications including monitoring and suppression of epileptic seizures, prosthesis control for injured military personnel, vagus nerve stimulation for depression and gastroparesis, and monitoring and therapeutic intervention of glaucoma. Irazoqui became a Showalter Faculty Scholar in 2013 and associate head of biomedical engineering in 2014. He is founder and director of the Center for Implantable Devices, pursuing research of a modular approach to the design of biological implants. He was team leader of a 2013-2014 Preeminent Team, Implantable Networks of Wireless Nanoelectronic Nodes, selected by the Purdue College of Engineering for work that has the potential for dramatic impact and international pre-eminence. He has received accolades for outstanding teaching. 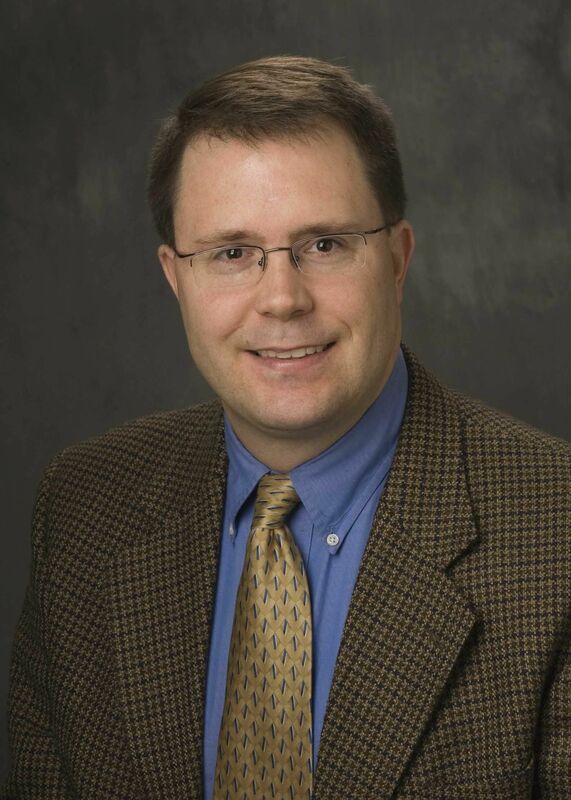 He received the Best Teacher Award from the Weldon School of Biomedical Engineering (2006 & 2009), the Early Career Award from the Wallace H. Coulter Foundation (2007 & Phase II in 2009), the Marion B. Scott Excellence in Teaching Award from Tau Beta Pi (2008), and the Outstanding Faculty Member Award from the Weldon School of Biomedical Engineering (2009). Irazoqui received a B.Sc. and M.Sc. degrees in electrical engineering from the University of New Hampshire, Durham in 1997 and 1999 respectively, and the Ph.D. in neuroengineering from the University of California at Los Angeles in 2003. Zheng Ouyang joined the Weldon School of Biomedical Engineering faculty in 2007 and quickly earned recognition for his work developing instrumentation and analytical methods for mass spectrometry. His main achievements in research include the electromagnetic and hydrodynamic simulation for ion transfer and mass analysis, algorithms and methods for signal and data processing, direct sampling ionization and miniaturization of mass spectrometry analytical systems for chemical analysis and biomedical diagnosis. His work supports a variety of applications in drug development, disease diagnosis and therapy, food safety, environmental monitoring, homeland security, and extraterrestrial exploration. His 100+ journal publications are widely influential, and several of his patents have been licensed by industry. 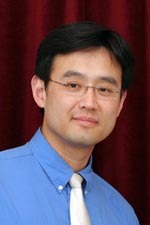 He has received the Purdue University College of Engineering Early Career Research Award, International Mass Spectrometry Foundation Curt Brunnee Award, China National Science and Technology Advancement Award (2nd Class), American Society for Mass Spectrometry Research Award, and National Science Foundation Early Career Award. He co-established a US/China analytical chemistry forum which alternates locations, serving people in both countries. He is also the founder of two companies, one in China and one in the US, for commercializing miniature mass spectrometry products. Ouyang received the B.E. and M.E in Automation from Tsinghua University in China in 1993 and 1995, respectively. He received his M.S. in physical chemistry from West Virginia University in 1997 and a Ph.D. in analytical chemistry from Purdue University in 2002. Jenna Rickus joined the faculty at Purdue in 2003 and has a joint appointment in the Weldon School of Biomedical Engineering and the Department of Agricultural and Biological Engineering. Her research group focuses on biofunctional materials for sensing and actuating living cells, tissues and organisms. Current projects include cell coatings to enable cell transplantation therapy for Type 1 diabetes, nano-biosensors to measure normal and pathological neuronal activity, a biosensor nano-satellite system (SporeSat2) to measure ion flux in plant cells during germination in microgravity, and 3-D engineered brain-like materials to study brain tumor invasion and treatment resistance. The practical implications of her work span agricultural, biomedical, and food safety applications. Rickus co-founded and currently co-leads the Physiological Sensing Facility, a laboratory in Discovery Park's Bindley Bioscience Center, operating at the interface of bionanotechnology, microtechnology and bioscience to engineer new tools for studying and controlling living systems. 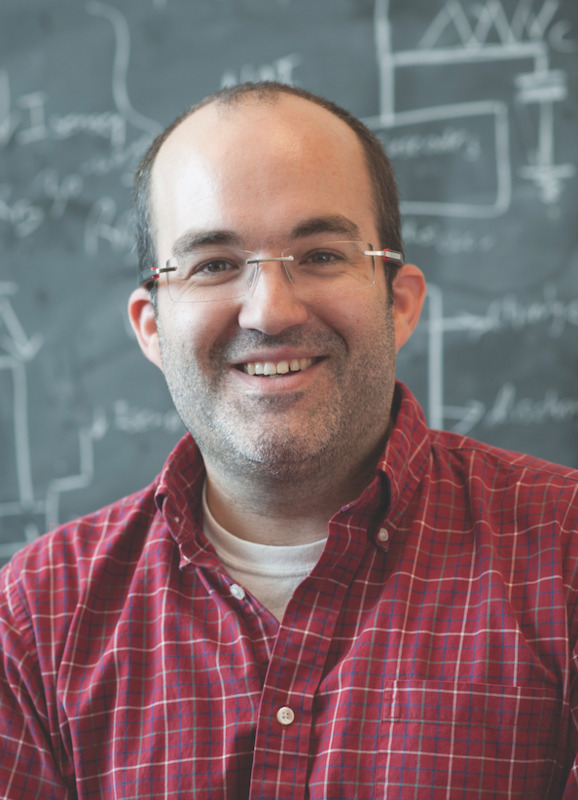 Since joining Purdue's faculty in 2003, Rickus has taught courses on nonlinear dynamics and chaos in biological systems, biosensors and quantitative cell biology. In 2015, she received the College of Engineering Advising Award. The award recognizes the scope and impact of nurturing students to successful professional careers via personal or academic advising and leadership in engineering student organizations and for contributions toward creating a climate that empowers students to effectively work together and develop leadership and communication skills. Rickus was recognized for timely progression of her students through their academic careers; her students’ realization of their potential through her guidance in shaping their academic programs; her ability to handle exceptional situations requiring thoughtful and often creative solutions to assist students in working around problems; and progress in her students' program of study. Rickus mentors the Purdue international Genetically Engineered Machine (iGEM) team. She earned B.S. degrees in the food process engineering and biochemistry dual program at Purdue. Rickus was a research engineer at Kraft Foods for two and a half years before returning to graduate school. She earned her PhD from UCLA in neuroengineering, a joint program between the Interdepartmental Program for Neuroscience and Biomedical Engineering. 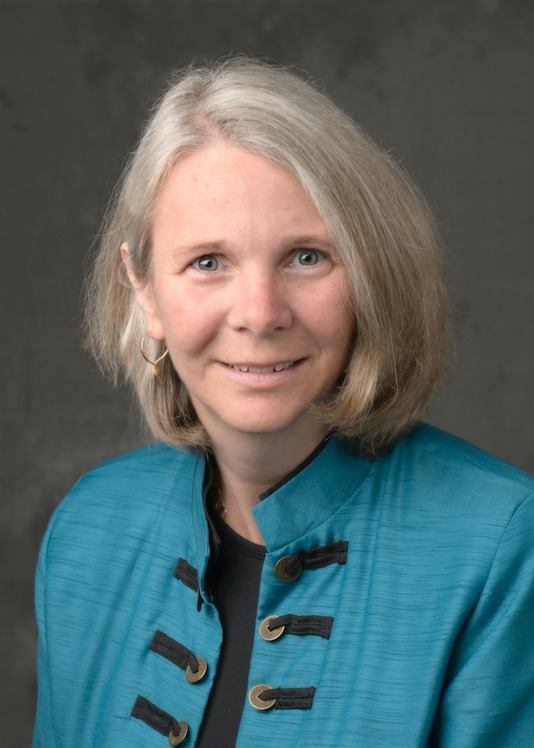 Upon completion of her PhD, Rundell worked at MIT Lincoln Laboratory as a member of the Technical Staff for three years prior to joining the Weldon School of Biomedical Engineering faculty in 2001. Since then, she has become well known for her exemplary service in engagement activities, for excellence and innovation in education, and for advancing control theory as applied to systems biology and personalized medicine. Rundell is a leader and role model in engagement and service both at Purdue and in professional organizations. As Chair of the Weldon School of Biomedical Engineering Curriculum Committee, she was instrumental in formalizing the Weldon School’s novel undergraduate biomedical engineering curricula and in gaining its approval by the State Board of Higher Education. Extramurally, she has been active in IEEE, SIAM, and the Conference on Decision and Control. She was recently elected to the Board of Governors of the IEEE Control Systems Society. Rundell is dedicated to excellence and innovation in education. She has secured multiple grants to support innovative educational opportunities for students and became the founder and co-director of Purdue’s Howard Hughes Medical Institute funded Undergraduate Research Program. In addition, she provides leadership to the NIH-funded Multidisciplinary and Needs-Driven Approach to Translational Team-Based Biomedical Engineering Design which includes a Clinical Internship Program. An unparalleled strength of Dr. Rundell’s research lab is the integration of control theory, mathematical modeling, and systems biology. The Rundell lab has accumulated expertise in developing model-based approaches for experiment design and model-based control for improving our understanding and ability to specifically direct the response of cellular processes for developing and designing diagnostics and therapeutics. In 2009 she received the NSF CAREER Award. She has co-authored more than 40 peer reviewed articles. Rundell received a BS in electrical engineering from the University of Pennsylvania in 1988. She worked for three years at Artel, Inc. in Windham, ME as an engineer designing small portable photometric instrumentation systems for the clinical and environmental marketplaces. She returned to school and earned the MS and PhD degrees from the School of Electrical and Computer Engineering at Purdue University in 1993 and 1997, respectively.